Jenifer Jeanette Lewis was born on 25 January 1957, in St. Louis, Missouri USA, and is an actress known for appearing in Broadway musicals as well as films. She was a part of “Sister Act”, “Beaches”, and “The Preacher’s Wife”, but all of her endeavors have helped put her net worth to where it is today. 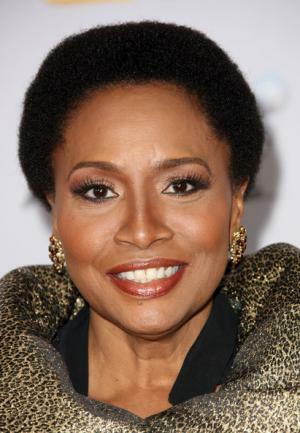 How rich is Jenifer Lewis? As of early-2017, sources estimate a net worth that is at $2 million, mostly earned through a successful career as an actress. Aside from her numerous films, she’s also been a part of television series and mini-series, including “Strong Medicine”, “Girlfriends”, and “The Fresh Prince of Bel-Air”. As she continues her career it is expected that her wealth will increase. Jenifer attended Kinloch High School, and after matriculating went to Webster University, then after graduating, she moved to New York to pursue a career as a performer. She appeared in various Broadway musicals including “Eubie” in which she was cast as the titular character. She was also considered for a role in the hit musical “Dreamgirls”, but then went to work as a background singer for Bette Midler. The two also worked together in the film “Beaches” which would start to open up more on-screen opportunities for her. She also developed a nightclub act, and was a Pre-Show announcer at Disneyland’s Star Tours. In 1990, Lewis moved to Los Angeles and started being cast in various television shows, including “Dream On”, “In Living Color”, and “Friends”. She appeared in the final season of “A Different World” and had recurring appearances in “The Fresh Prince of Bel-Air” from 1991 to 1996. She was also cast in the short lived drama “Courthouse”. During this time she became part of the comedy film “Sister Act” which starred Whoopi Goldberg, and continued with more films such as “Poetic Justice” and “What’s Love Got To Do With It”. Her performance in that film earned her a NAACP Image Award for Outstanding Supporting Actress in a Motion Picture. Other films she was cast in during this period include “Renaissance Man”, “Panther” and “Dead Presidents”, all contributing to her net worth. In 2000, Lewis became a part of the film “Cast Away” in a supporting role, and a regular cast member of the drama “Strong Medicine” until the end of its run in 2006; she also performed the theme song of the show. She then had a recurring role in the sitcom “Girlfriends”, and the following year she was cast in the romantic comedy “The Brothers”, as well as becoming part of several Tyler Perry films. In 2008, she continued her work on stage by being cast in “Hairspray”; she also guest starred in “Boston Legal” and “That’s So Raven’. Lewis then ventured into voice work, most notably in Disney’s “The Princess and the Frog” which won her an Annie Award. In 2010, she was cast in the Clint Eastwood film “Hereafter”, and followed it up with 2011’s “Five”, a performance which earned her an NAACP Image Award nomination. A few of her latest projects include “Baggage Claim” and “The Wedding Ringer”. She was also cast in the comedy series “Black-ish” which earned her a Critics’ Choice Television Award for Best Guest Performer in a Comedy Series. For her personal life, it is known that she married retired marine Arnold Byrd in 2012. She also has a daughter from a previous relationship. Jenifer revealed that she has Bipolar disorder, and has been treating it for the past decade. Place Of Birth St. Louis, Missouri, U.S.
1 I'm in the moment. I'm always in the moment of life. 2 If you don't love it, don't touch it. 3 I want to co-produce again. 4 If you just want to be a star, go away. 5 I've been burn when it comes to my hair that it ain't no joke. 6 I still go to a salon where a gal does my hair, and I don't know if it's because I'm a celebrity but by the time I leave there, we are eating chicken and talking and screaming. 7 You never know when you start a project just how good it can be. 8 You have to be a star to be in this business. 9 Whoopi and I have been friends ever since she claimed she couldn't sing on the set of Sister Act. 10 What if Whitney was at her top, and we brought in a name like Whitney Houston, it would sell. 11 It's important to e alive in those moment, especially when you're doing something you love to do. 12 Saturday night is when my hair would be fixed up and that was my memory. 13 Sometimes I think I take on a lot of work but that's me. 14 I had not starred in an independent film and it's about a woman who owned a hair salon. 15 If you can find something you love, go for it everyday of your life, and it would be really good to you. 16 America has a relationship with Bobby and Whitney. 17 Apart from being Jenifer Lewis. The name pulls people in. 18 We didn't have a beauty shop as I grew up. 19 I don't have any beauty shop memories. I remember the barber shop. 20 But a true diva has dismissed that drama. A true diva's heart is open, and she's ready to play by her own rules - rules that are gentle and kind. 21 You are a black goddess when you come out the salon. 22 You think you can go into all those auditions not knowing who you are? The work came after I found my sense of self - when I wasn't so manic and desperate. 23 A diva is someone who pretends to know who she is and looks fabulous doing it. 1 Despite playing her mother in What's Love Got to Do with It (1993), Lewis is just 1 year older than Angela Bassett. 2 Despite playing her mother in The Preacher's Wife (1996), Lewis was just 6 years older than Whitney Houston. 3 Graduated from Webster University, Missouri. 4 Has an adopted daughter named Charmaine. 5 She is the youngest of seven children. 6 Sang in her church choir at the age of five. 7 She starred in and co-wrote a one-woman show called "The Diva is Dismissed." It earned her two NAACP Theater Awards. 8 She began her career on Broadway in "Eubie". 9 Was once one of Bette Midler's Harlettes. The Princess and the Frog 2009 performer: "Dig a Little Deeper"